The C. Bechstein D 282 concert grand piano wins in the direct comparison test with the competition. It is the ideal of many pianists: The C. Bechstein D 282 concert grand piano has superior power potential, unsurpassed tone qualities and a precise, effortless touch. Let yourself be seduced by the charm of a beautiful concert grand piano, vibrant and full of life. In dialogue with pianists from around the world, master piano makers and engineers at C. Bechstein Pianoforte Fabrik Germany have developed the ideal conception of a perfect concert grand piano and created new standards: the symbiosis of tradition and the future – a unique sound character, depth of tone, power and musicality. A very professional precise and sparkling action distinguishes the C. Bechstein D 282 concert grand piano. The Duplex-Scala creates huge sound power reservoirs up to the highest treble. In direct competition, the C. Bechstein D 282 concert grand piano comes through with flying colours.This grand piano has in each area and even in forissimo so many colours, such a wide range of nuances, such a compelling variety of shades! Great artists love this piano for its lyrical voice, for its singing cantilenas, for its orchestral volumes This concert grand can do everything: it can belt out and whisper. The factory creates an individual masterpiece out of each C. Bechstein D 282 concert grand piano, here different players discover their grand piano, just as they wish. 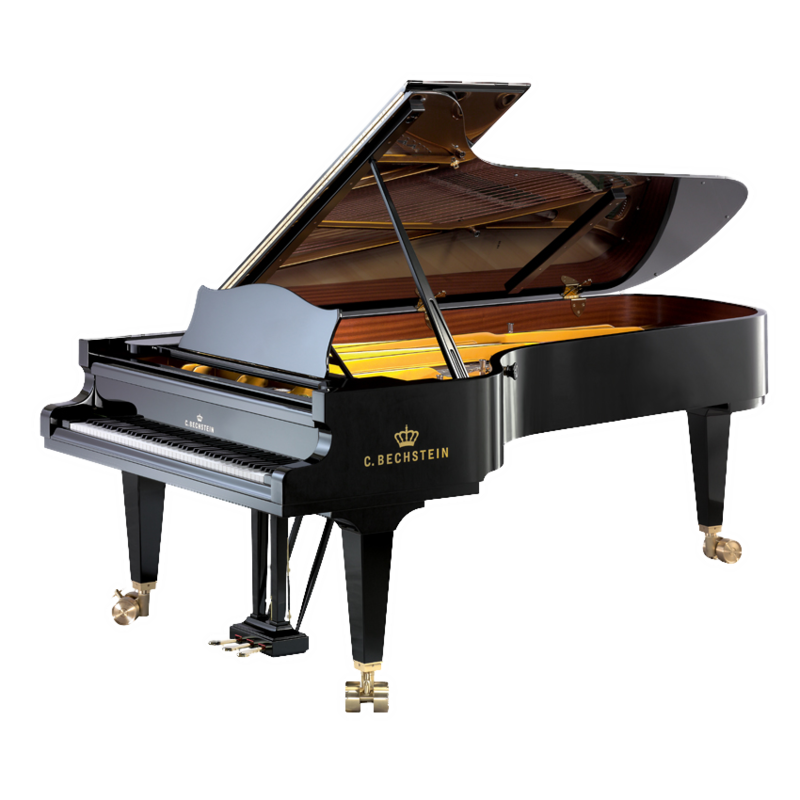 The C. Bechstein D 282 concert grand piano can be equipped with the Vario System.